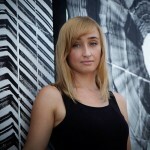 The 352walls/Gainesville Urban Art Initiative was originally conceived by Gainesville citizen Iryna Kanishcheva. Having experienced and photographed urban art projects around the world, she saw the potential for changing her community’s cultural landscape and world-wide visibility by bringing artists with international followings to paint a series of murals throughout the historic downtown area. With the commitments from a roster of acclaimed artists and building owners willing to provide their walls, Kanishcheva approached VisitGainesville for project support. Immediately recognizing the potential of the project as a tourism development vehicle, VisitGainesville approached its long-time collaborator, the City of Gainesville, to see if it would coordinate the effort. Seeing the project’s potential to brand the city as a cultural destination, the City assembled a project team who enthusiastically embraced the effort, albeit on a very tight timeline. To realize the vision to its fullest, the team secured additional project support and partners for the effort including the Gainesville-Alachua County Art in Public Places Trust, Gainesville Community Redevelopment Agency, University of Florida College of the Arts School of Art + Art History, Héctor Framing and Gallery, Nautilus Realty, Florida Community Design Center, Benjamin Moore Paints and Gainesville Arts & Parks Foundation. The 352walls initiative was an immediate success and has since continued into a 3rd year with over 30 works of art created to date. New partners continue to be attracted to the project, most notably the National Institute of Urban Art, which has supported the creation of both new murals and the presentation of an important exhibition at the Thomas Center Galleries, UNCONTAINABLE :: Urban Art from Vandalism to Movement. © 2015-2017 352walls All Rights Reserved.